"Another change the Aussies could make is drafting in Alex Carey as a specialist batsmen. There is a chance he could open in place of the disappointing D'Arcy Short"
Considering England's dominance in this five-match series, punters have been struggling to find much room for manoeuvre on the match-odds markets. So the specials are living up to their name. Thank Lord for the side markets for something to analyse. One possibility ahead of the action is the 11/10 that Betfair Sportsbook offer about England hitting most sixes and winning the match. It is a wager which taps into the heart of England's dominance - they bat ferociously well and Australia can't live with them. Indeed, during their record-breaking innings at Trent Bridge on Tuesday, England hit an incredible 21 sixes. Australia could manage only seven. Previous to that blitz, however, things were pretty even on the six-hitting stakes. England got up by one in Cardiff by 5-4 but at The Oval, in the first one-day international, Australia outstruck England by four to one. Still, the confidence coursing through the veins of the English and the relative drought from the opposition's point of view suggests this is a viable option to find a way to bet on an England win. Prior to the trashing at Trent Bridge we discussed the probability of Jason Roy putting together back-to-back scores. He of course managed to do so with a brutal 82 off 61 balls which set the tone. It was the third time Roy had notched consecutive scores of 50 or more. He now has the chance to make three successive scores of 50 or more, also for the third time. Roy is 16/5 with Betfair Sportsbook for top England runscorer and 8/1 for man of the match. Of more interest, though, is the finer margin runs markets. For example, Roy is 10/11 for 30.5 runs over or under. This is the sort of market which interests us because we suspect bookmakers often artificially up the runs quote because they know the majority of punters are buyers. The numbers suggest this is what has happened. Roy has failed to beat that mark the majority of his career, as you would expect. He has a 55 per cent hit rate for going under 31 runs. So that is a reasonable edge. All you need now is the guts to go short. 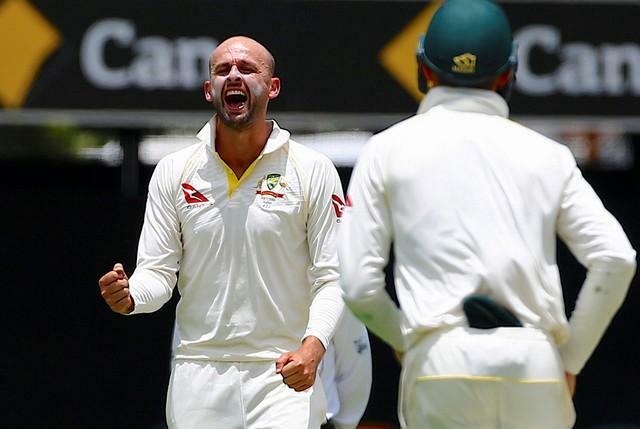 Australia are hurting and it would be a major surprise - slash mistake - if Nathan Lyon was not brought into the team to give them some experience and control. Lyon, about as wily as they come, is worth mentioning then as a potential top Australian wicket-taker bet. Sportsbook go 4/1 that he cops. In terms of the confidence levels of the bowling group it could be argued it's value. But what do the numbers say? Alas not very much. He should, statistically, be twice as big to win here so it is some leap to expect a winner. Those figures don't take into account the carnage inside his team-mates' minds. Another change the Aussies could make is drafting in Alex Carey as a specialist batsmen. There is a chance he could open in place of the disappointing D'Arcy Short, although there is a school of thought that Carey is more dangerous lower down the order. Still, beggars can't be choosers. Carey is 7/1 for top Australia runscorer. In his only ODI innings he batted at No 8 as the specialist wicketkeeper. He made 27 off 24 balls against England in Brisbane.